It’s the place to be on Tuesday summer evenings, even for local adolescents. Good clean chaotic fun. Experience not required! 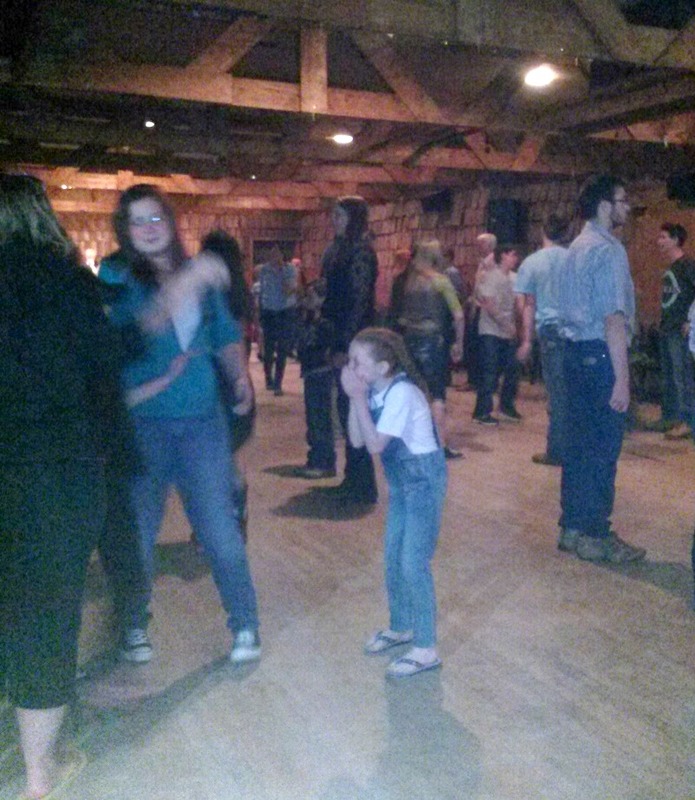 You just gotta love it: This is the place to be for many adolescents on summer Tuesdays in Dubois, at the square dance in the back room at the Rustic Pine Tavern. At the start, just after 8 PM, the girls often hang together separate from the guys, as you can see here. 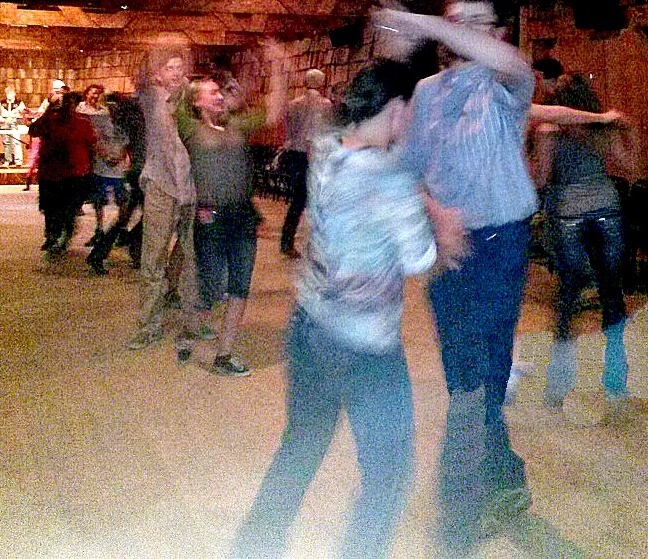 But square dancing is all about partners, and sooner or later they begin to mingle. It’s wonderful to behold how expert these young dancers are who have come every week, perhaps for almost as long as they remember. From my vantage point behind the soft-drink bar, it’s great fun to watch the teens laughing, bragging, whispering secrets. 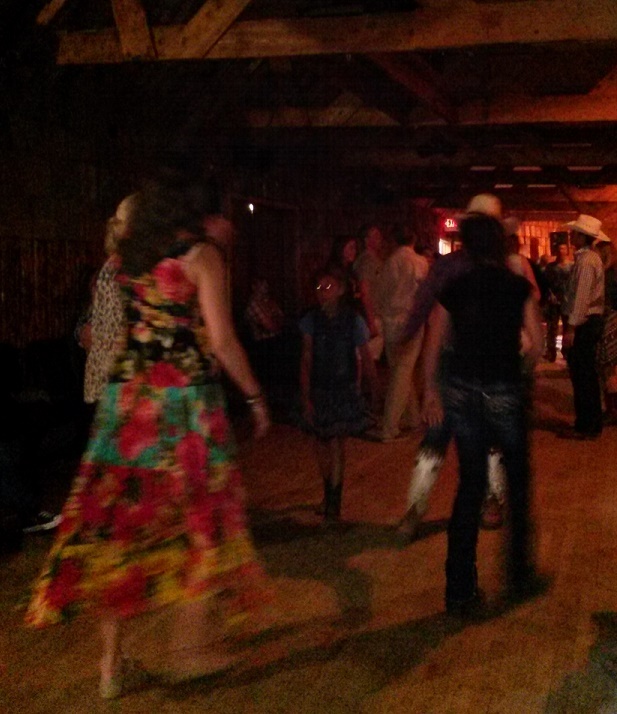 As the minutes pass, visitors from guest ranches begin to “get” the moves. This is silly stuff, actually, but great exercise and entirely wholesome fun. Some of the most enthusiastic participants are the young children. Every once in a while, of course, order deteriorates into a certain degree of mayhem, as here. The natural reaction is to laugh. 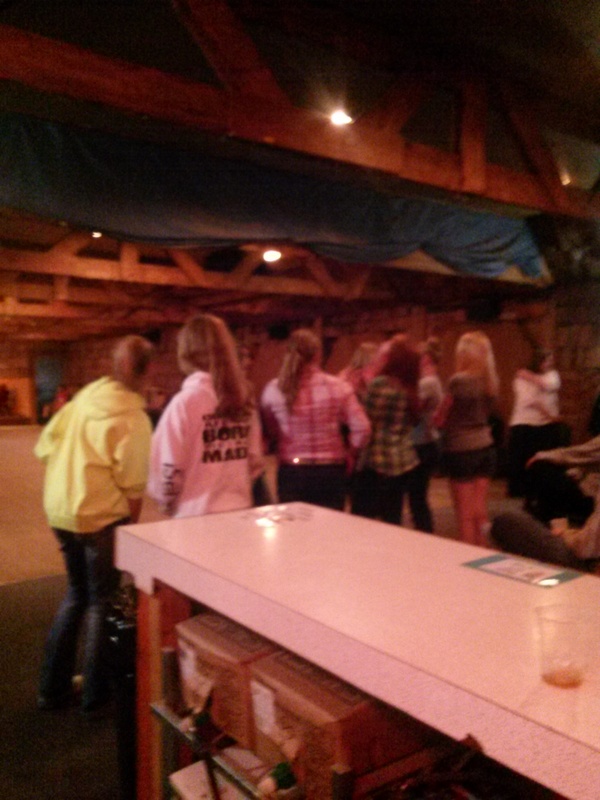 The Episcopal Womens Guild of St. Thomas Church has been sponsoring the square dances for many decades in Dubois. Like almost all entertainment here, the proceeds go to a charitable cause. 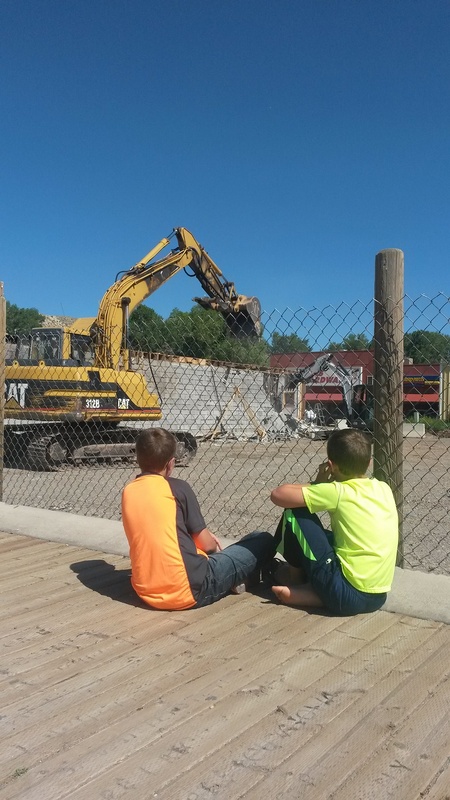 At left, two young lads watched with interest as the last building damaged in the devastating December 30 fire comes down. I asked their names at the time, but unfortunately forgot them before I sat down to write this. The fire was caused by overheating of wooden walls too close to a chimney. 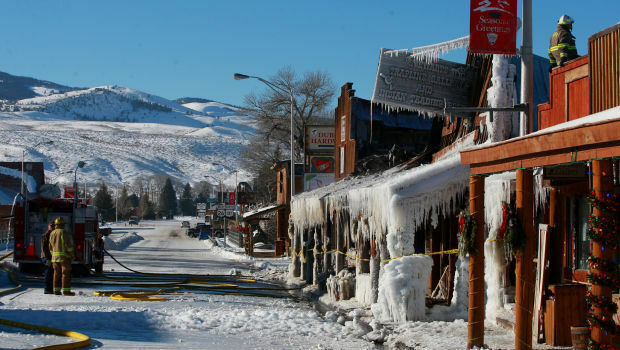 Subzero temperatures caused the water lines in the fire hoses to freeze up as volunteer firefighters battled the flames in the wee hours. Community response was, predictably, immediate and robust, reflecting the strong feelings that residents, former residents, and longtime repeat visitors have for the Dubois community. A crowd-sourced relief fund raised nearly $12,000 for affected business owners over six months. 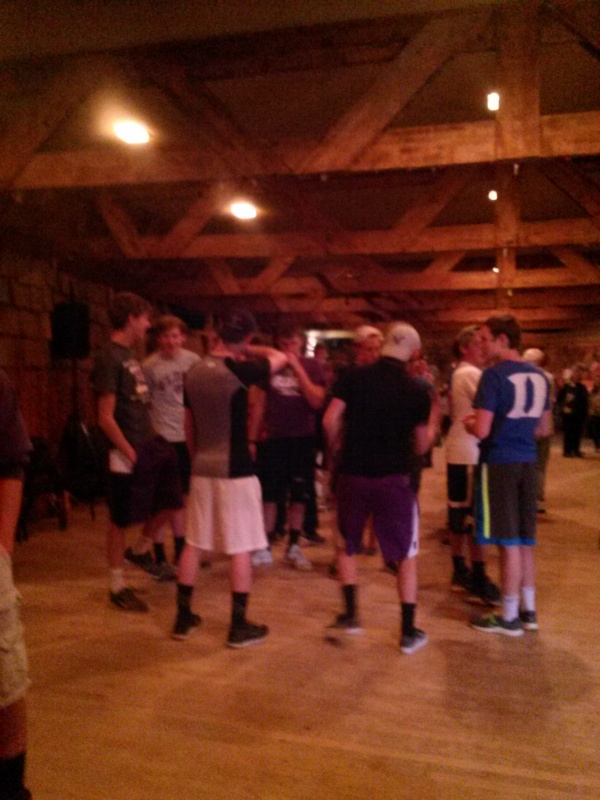 Another fund coordinated by the local charity Needs of Dubois and St. Thomas Episcopal Church raised about $88,000. Contributions at the annual Swedish Smorgasbord event in June and other sources raised money for a new fire engine with hoses that will not freeze overnight in Dubois’ high-mountain winter temperatures. 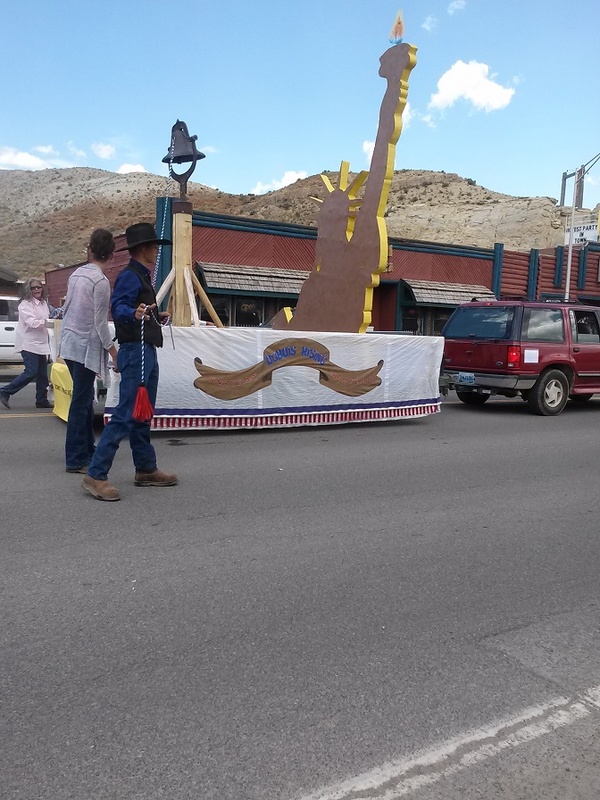 The theme of the Independence Day parade was “Dubois Rising” (see the float with that motto in the image at right). Nobody needed to be told what that was about. Meanwhile, the demolition proceeded. 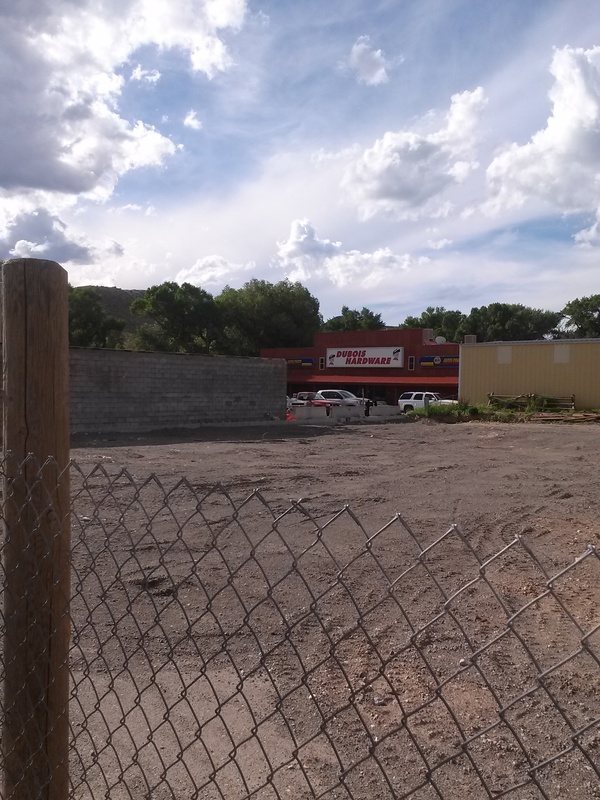 The new empty lot offers residents a startling view, straight through from the hardware store and its parking lot to the world’s most unique bar (the Rustic Pine Tavern) — or vice versa. 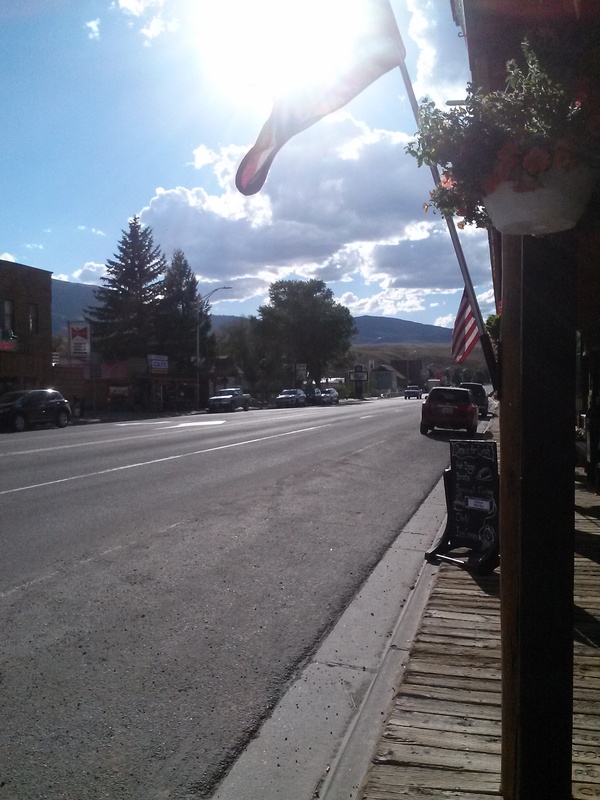 We’re used to seeing timber storefronts and a board sidewalk. What’s going to happen here? We’re eager to find out. “How could I not rebuild?” said the property owner Jeff Sussman in the local newspaper, not long after the fire. Now that the insurance reports are submitted, architects’ plans are under consideration. 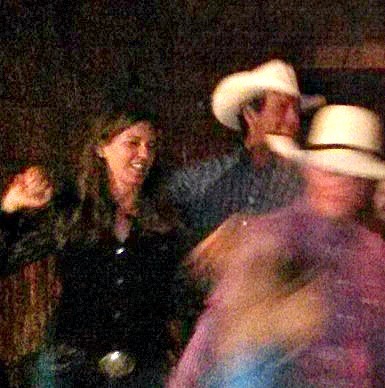 A New York commercial real estate broker, Jeff and his wife Susan also own and manage the Diamond D ranch here. Jeff and Susan are anything but absentee landlords. 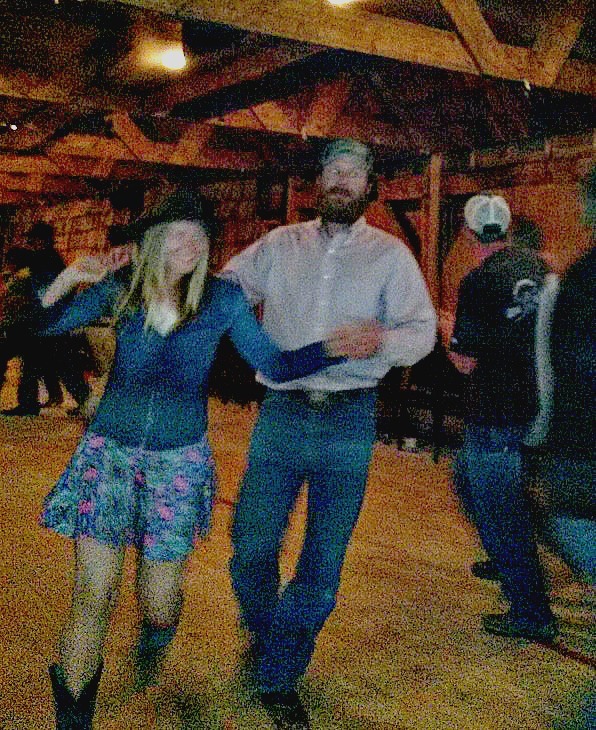 You often see them in the Rustic when they’re in town, and they celebrated Jeff’s recent birthday with an open bar. When I spotted Jeff in town not long ago, I mentioned that heart-warming statement in the Frontier, which was a beacon of hope at a devastating time for a town whose economy relies heavily on tourism and therefore on the face it presents to those passing through.